Kiwi Travel are delighted to partner with Sanctifly to offer you a range of healthy, wellness options to enjoy at the airport, including access to hotel gym, pool and spa without booking a room. 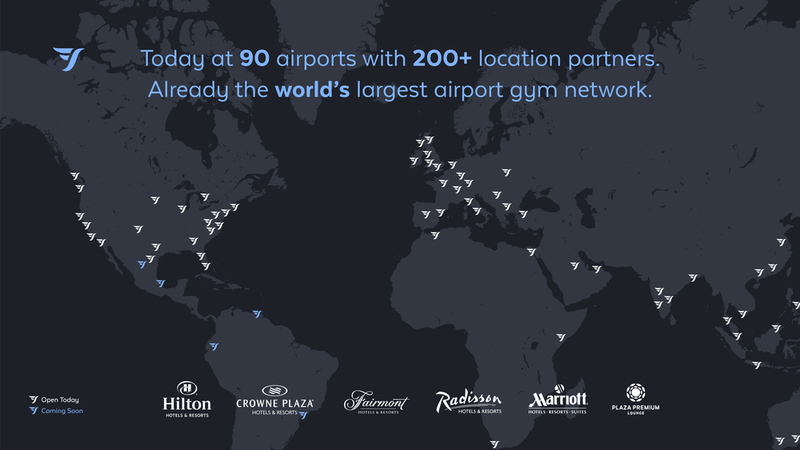 Sanctifly is the global leader in travel wellness at over 90 airports with hundreds of partners around the world including Marriott, Sheraton, Hilton, Radisson hotels and specialist gyms (inc. over five hundred 24 Hour Fitness locations in the US) and post security airport wellness options like the Plaza Network and XpresSpa. Most options are exclusive to Sanctifly members, you can not walk up and pay for entrance. Sanctifly is for everyone who wants to put a bit of wellness in to their airport downtime. Yours today, thanks to Kiwi Travel, for the exclusive price of only $35.00!